Pomegranate fruit is one of the most popular, nutritionally rich fruit with unique flavor and taste. A 100-g serving of pomegranate seeds high in vitamin C, vitamin K and folate. 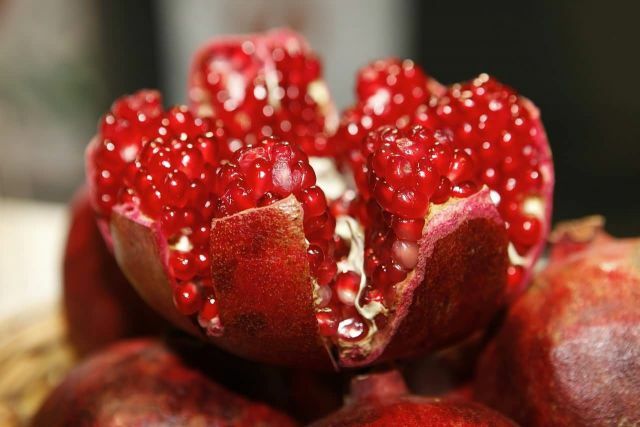 Pomegranate seeds are an excellent source of dietary fiber 20% which is entirely contained in the edible seeds.